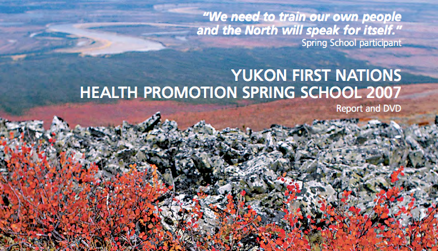 The Yukon First Nations Health Promotion Spring School 2007 (May 28-June 1) brought together community-based First Nations health resource workers from across the Yukon to develop ways of promoting health on issues of importance to their communities. Participants selected one of the following five priority issues to focus on during the course: diabetes, depression, substance use, food security and residential school. Working through a 6 step planning process, participants identified key individuals and agencies, background information, goals, objectives, strategies, activities and indicators for each issue. These results are visually presented to be of interest to a range of audiences, both in the video of Spring School 07 and in the main part of this document. Results are also available in report format in the appendix to provide additional details. 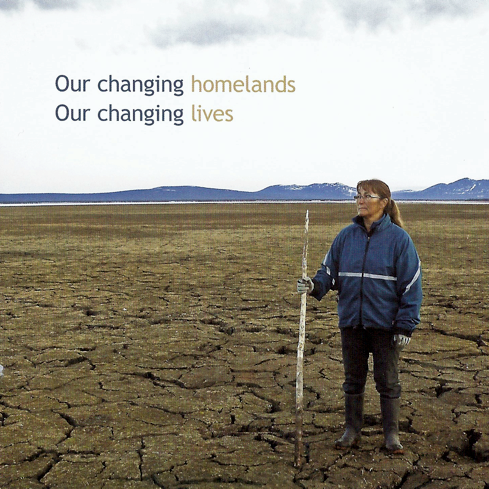 This document and an accompanying movie were developed to allow future updates as additional ideas and information become available. The strategies and activities for each issue are searchable by key words in the PDF (see the download link below). For example, the importance of traditional foods was highlighted in all issues. This searchable feature will help readers to work through the document material and identify common themes. Spring School 2007 participants recommended that more training courses like this be developed to contribute to capacity building at the community level.